Circle Cuts Outs can be used for an array of craft supplies, school supplies, gift tags or any other craft need. 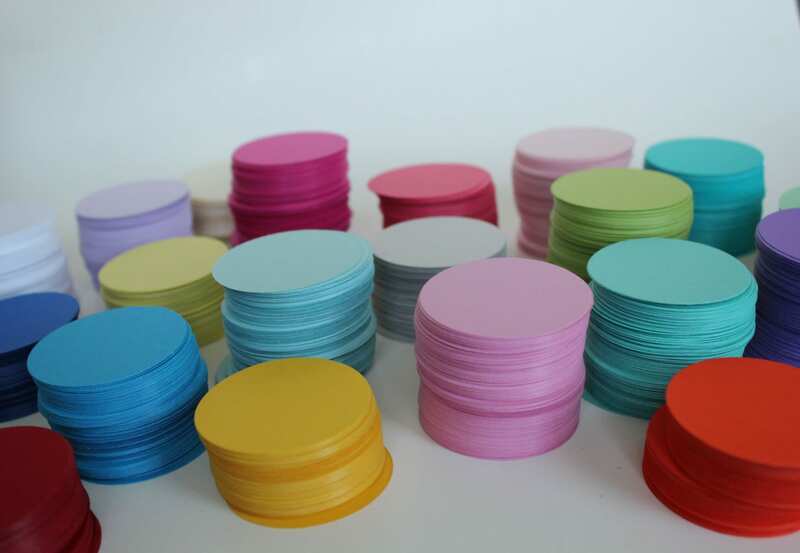 This listing is for 300 die cut circles in the 2" circle size. Made from 65lb cardstock. 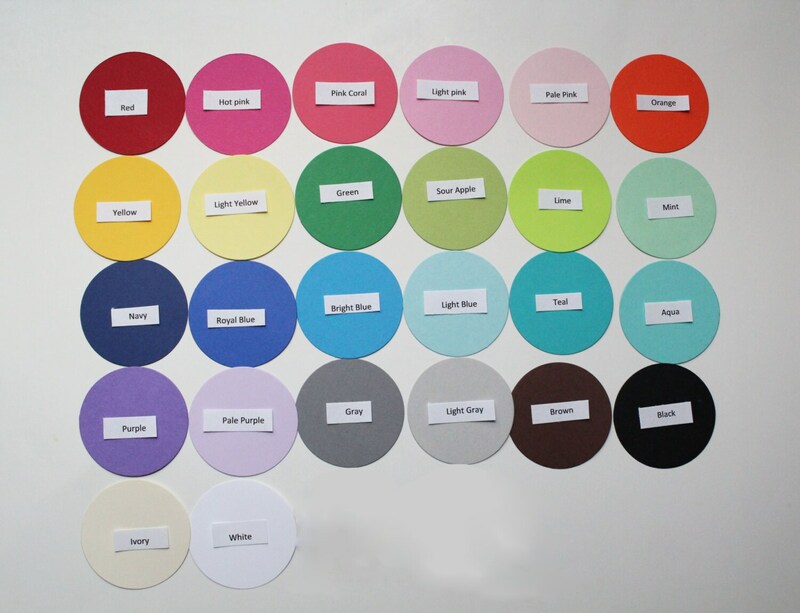 You may pick as many colors as you would like from the colors chart. * Include your color selections in "message to seller" at checkout. 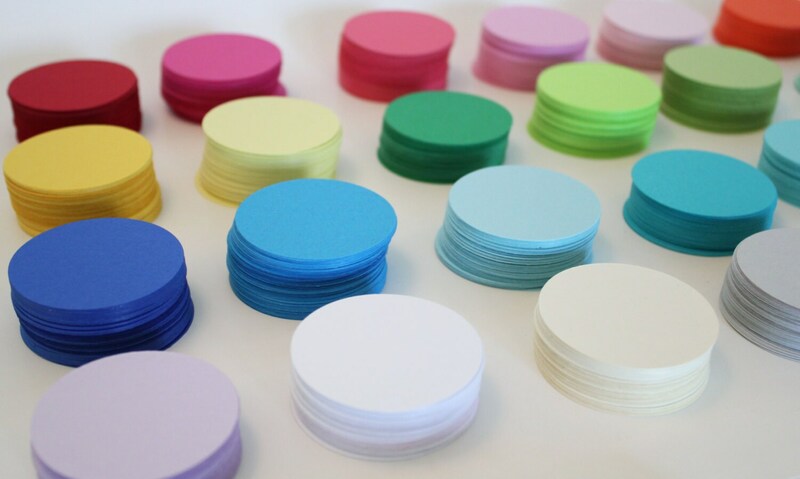 These circles can be used for making your own garland, cupcake toppers, gift tags or for scrapbooking or any other craft need.